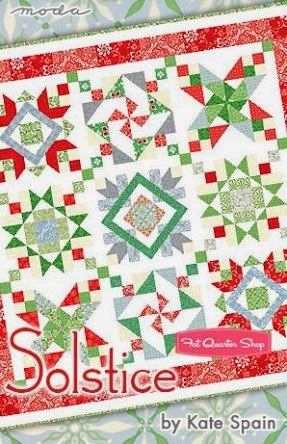 We know that the holidays seem to be months away... but at Fat Quarter Shop, it always starts early! 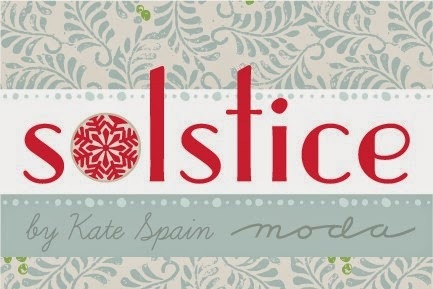 Today, we are featuring the new Solstice Collection of Moda Fabric by Kate Spain. So grab some hot chocolate and get comfy in your favorite winter slippers and experience Kate's winter wonderland designs! Q: Tell us a little about the Solstice collection. What were you inspired by? 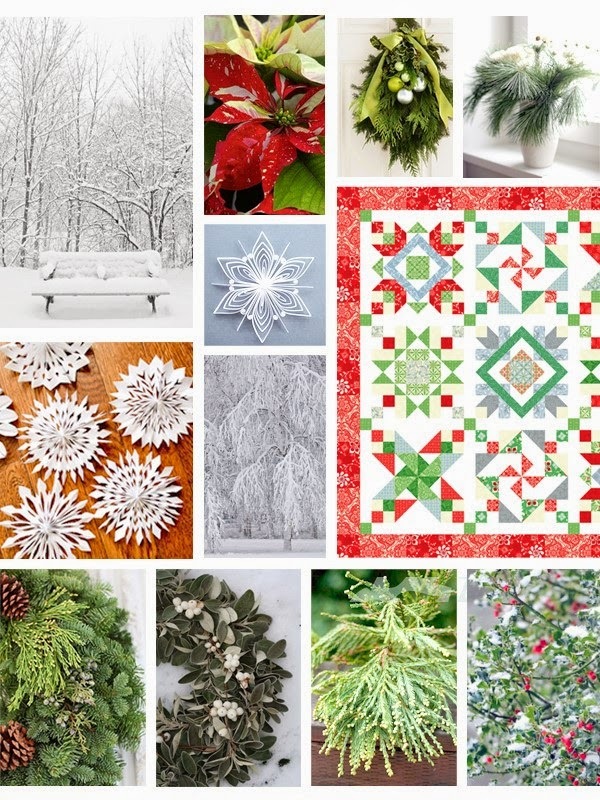 A: One of my favorite things about the holiday season is bringing winter greenery indoors for decoration. Their fragrance is beautiful and they add some much needed color at a pretty color-less time of year. I was inspired by the gorgeous greens of cedar, pine, and spruce that are abundant here in Connecticut. I also enjoy cross-country skiing and love meandering through peaceful, snowy woods. Solstice includes a grayish, silvery blue that is new to my holiday fabric lines and to me it resembles the shadows cast on fresh-fallen snow. I was also inspired by the whimsy of paper-cut snowflakes. Those are always fun to make, and a surprise to unfold. They add a tiny bit of nostalgia to this fabric collection which connects me to all the wonderful Christmases of my childhood. A: For a Christmas/winter line, I mostly try to go back into memories of the season. Then I like to try to focus on something that made me happy; hot cocoa, gingerbread cookies, mittens, tree lights...there are so many! And then, with pencils and paper (and maybe some Christmas music) the fun begins. A: Funny you should ask this now, as I'm in the midst of creating my next Christmas/winter line. 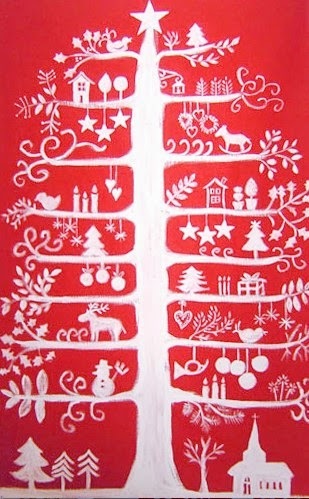 Design trends for Christmas always seem to be anchored in traditional themes, so this is where I draw colors and motifs. I'm loving the Scandinavian folk-inspired trend and may have to incorporate a little of it in what I'm working on. There's not always symmetry in my designs so it might be a fun thing to explore. Q: What projects do you hope to see made with Solstice? A: I'd love if Christo and Jeanne-Claude could call Mark Dunn and order 1 million yards of Solstice fabric ... and then wrap up Times Square with it for the holiday season. Would be lovely. 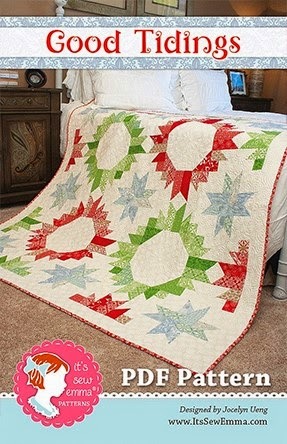 All kidding aside, I love the It's Sew Emma quilt "GoodTidings" designed by Jocelyn Ueng. 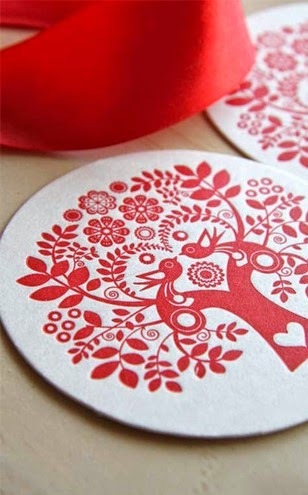 It complements the colors perfectly and the design is fresh and not too Christmassy so you can use it all winter long. I also designed a free project sheet that would be a really fun to do as a quick block-of-the-month since several of the block designs are repeated but with different fabric prints. In addition to these, any number of holiday sewing projects would be great to make; stockings, table runners, tree skirts, and many others. A: Bold, graphic, exuberant patterns in harmonious colors. I think my designs have elements that resonate with something familiar, but are rendered with an energetic hand that helps to create a connection that I always hope makes people feel happy. My style is continuously evolving which is part of what keeps me creatively engaged, interested and happy throughout the process of making designs. Q: What is the biggest sewing faux pas that has happened to you? A: Recently? None. I'm on a perfect streak. Right, I wish! Just wanted to see what that felt like to say. I make mistakes all the time. I once laid out a quilt block on my drawing table and picked it up in rows with all the seams-to-sew on the same side — or at least I thought they were on the same side. By the time I turned around and walked three feet to my sewing machine and sewed them together, they were all backwards. I really don't know how that happened! Thanks so much for having me on the Jolly Jabber today. I wish everyone a happy, merry, VERY early holiday!